Am I not getting a job because I’m a woman and Muslim? Tasneem Abdur-Rashid is a freelance journalist. 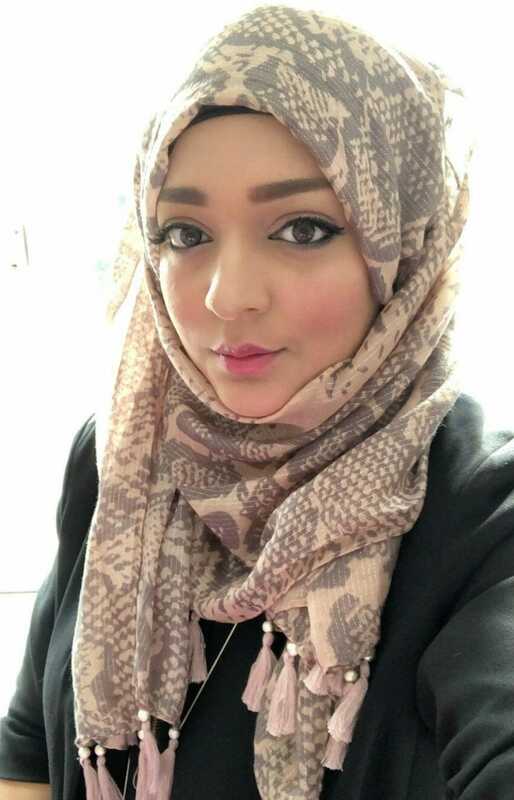 In this column, Tasneem Abdur-Rashid shares what it is like to be a ‘multi-disadvantaged’ woman and Muslim seeking employment in the UK. I’m usually a confident person, and I think I’ve earned the right to be. I have a diversified yet robust career history in writing and communications, a decent education and even a bestselling novel under my headscarf. I’m presentable, well-read, and well-spoken. But despite applying for 30-odd relevant jobs in the past six months (mostly on LinkedIn but also through other platforms), I haven’t been invited to a single interview. I started my job hunt optimistic, but it wasn’t long before self-doubt crept in and I began to question my ability, my worth. I looked at my CV and thought – seriously – am I that mediocre that you don’t even want to meet me? I read and re-read my thorough yet engaging cover letter, the one I wrote specifically for that position, wondering why it didn’t resonate enough to be called in for an interview. With every unanswered application hacking away another piece of my soul, after months of silence, I’ve almost given up and resigned myself to my fate. For years I refused to believe that my colour, gender or religion impacted my education and career prospects. I would hear terms like ‘multiple disadvantages’ and ‘multiple discrimination’ floating about and it would make me bristle. I never saw myself as disadvantaged. In fact, as far as second generation British Asian upbringings went, mine was pretty privileged. My dad was the Director of Finance for a housing association. I grew up in a spacious five-bedroom Victorian terrace in North London, minutes away from Oxford Street on the Victoria Line. Living and working in Dubai further tinted the rose-coloured glasses I was wearing. I went from working in magazines to PR, to Corporate Communications. Each move was swift and calculated, and I felt like a queen gliding across a chessboard. My time away from the UK glamourised it. I missed it. I missed London. I had nothing bad to say about it. It was home. Do equal opportunities really exist? It was only when I moved back that I began to question the fairness of the recruitment process. My husband, an Arab Interior Designer with an excellent education and extensive UAE experience, eventually joined me in the UK. However, after months of being unemployed despite recruiters claiming he was the ideal candidate, he was forced to open his own company. He was convinced it was because of his Arabic name. I refused to believe him. This was England, not the UAE. Things were fair. We had rights. There must be another reason why neither of us was faring particularly well in the job market. When I got talking to friends and family, I realised that I wasn’t alone. I even heard stories of people who got interviews after they changed their names to anglicised versions on their CV and LinkedIn profiles. And then the penny dropped. The one time I did hear back from an employer was for an advert I saw outside LinkedIn. Could it possibly be that my social profile was off-putting to potential employers because they could clearly see that I was a practising Muslim? I wasn’t just an exotic-sounding name on a piece of paper, I was a woman who wore her headscarf with pride. I could change my name to T. Abraham on my CV, but I couldn’t exactly change my face on LinkedIn. So, with a sickening sensation in my gut, I began to look into Islamophobia, racism and sexism in the workplace and I was aghast to discover that it was rife and barely concealed. It’s no secret that women are disadvantaged in the workplace, earning 14% less than their male counterparts, but what you might not know, is that according to the European Network Against Racism (ENAR), ethnic minority job applicants have to send 74% more applications than their white counterparts to achieve an equal level of success. According to the same report, there is evidence of name discrimination, where Muslim or ethnic sounding names get fewer interviews and considerations from potential employers. This is known as ‘ethnic penalties’. In fact, one in eight Pakistani women are asked about marriage and family aspirations in job interviews whereas only one in thirty white women are asked the same question. Additionally, researchers Nabil Khattab from the Doha Institute of Graduate Studies, and Ron Johnston from the University of Bristol, have also found clear evidence of a ‘Muslim penalty’, demonstrating that unlike Hindu Indians who are almost 1.49 times as likely as a white British Christian to access salaried employment, Muslim Indians are 0.86 times as likely to acquire such a job. Similarly, White Muslims are approximately 0.72 times as likely as a white Christian or non-religious woman to access the ‘salariat’ and the odds for Pakistani and Bangladeshi women are significantly worse. In fact, according to them, Muslim women with degrees have a lower likelihood of attaining a job that is in line with their qualifications than their White British Christian counterparts. The struggle doesn’t end there. Even when I have managed to find related work – my pre-maternity position was the Head of Communications for a Muslim charity – there are still problems. Yes, I was Muslim and brown, so I fit in to an extent, but I was still a woman. I was one of two female faces in the 20-strong Senior Leadership Team, fighting to get my voice heard in a crowd of men whom all thought they knew better. So where does that leave someone like me? I am a hijab-wearing, brown Muslim woman with an Arabic name. And now, I’m also over the age of 35. How much harder am I expected to fight just to help provide for my family and put my brains and experience to use? Probably more than 74% harder as those stats are just for ethnic minorities, not ethnic minority Muslim women. Apparently, I need to work for local government or go into teaching if I want a decent job. Apparently, I should just forget about the 12 years of communications experience I’ve gained and do something completely unrelated to my field where I can add value, just to get a job. But that’s hardly a solution, is it? Forcing qualified and skilled women into unrelated positions is not the answer. Forcing ethnic minorities into giving up their names, their beliefs and their identities is not the answer; not unless you want to breed a generation of disenfranchised women struggling to identify with being British, struggling to make ends meet, and resenting the lack of representation everywhere. And simply talking about empowering women and empowering Muslim women, isn’t enough. You want us to ‘assimilate’ and ‘integrate’ and become active members of society. But how can we be if you don’t even hire us? Why not give us a chance to prove ourselves in your organisation, the same way you would with our white, non-religious counterparts? Why not put aside any pre-conceived misconceptions you may have of us and give us a fair, unbiased interview? Now that would be empowering. We bring more than our education and skills to the table; we bring diversity, experience, resilience, perspective and depth – and you can’t put a price on that. As much as I love Christmas, I’d like to celebrate my own festival, too. Supporting a more diverse and inclusive workplace. © Bonhill Group plc 2019. 14 Bonhill Street, London EC2A 4BX Tel. 0207 250 7010. All rights reserved.